Treat your little lad to jammies they will simply relish with Prince of Sleep's eye-catching blanket sleepers! fabric with high-quality dyes that keep the onesy jammies in lovely condition even after multiple washes. a breeze. No more breaking a sweat to get the kids ready for bedtime. 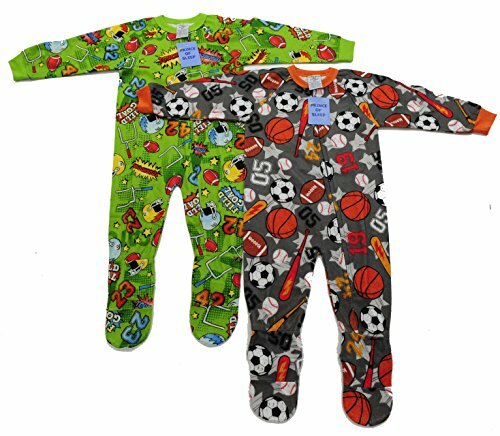 - Available in 12M-14 to comfortably fit infants to big boys. - Come in a set of 2 to give you great value for money.